The FurHaven Snuggle Terry & Suede Hood Pet Bed in clay is the perfect hangout for small pets! 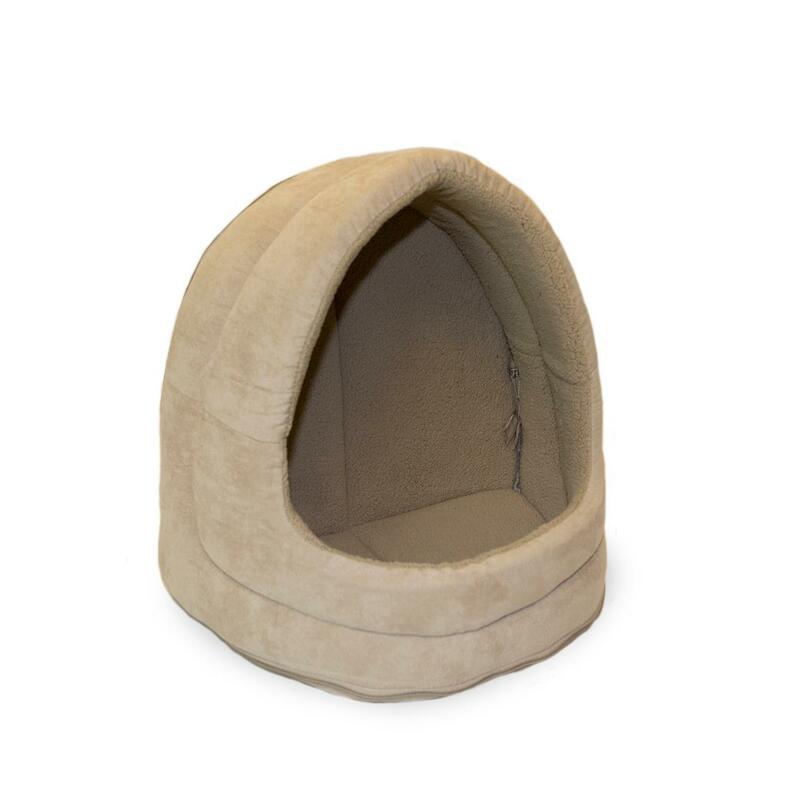 Purr-fect for cats but loved by small dogs too, your pampered pet will love the secure cave (or dome) style comfort. Cozy snuggle terry and suede fabric makes a perfect snuggly spot for hours of napping and relaxing. 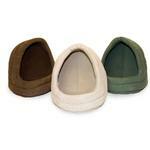 The foam dome structure supports hips and back and can be used in two configurations - long or tall. 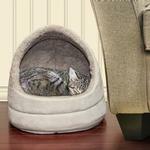 Easy-care and attractive, this bed also features an innovative zippered design for easy washing, transport or storage. Machine or hand washable. Also available in animal prints and ultra plush fabric. My dog is the world to me an I love dressing him up :)! This sight has some really cute an fun products to choose from!